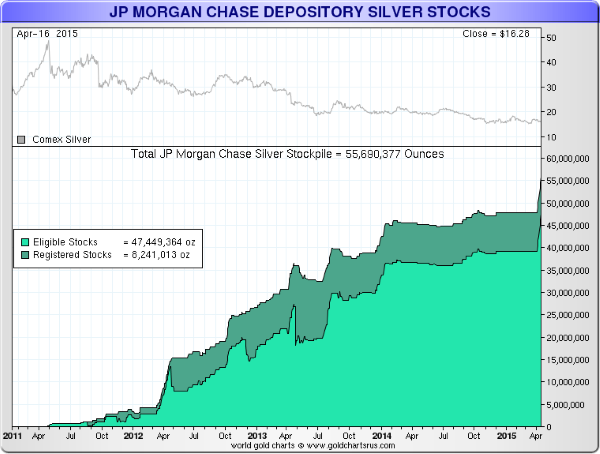 - Why is JP Morgan accumulating the biggest stockpile of physical silver in history? 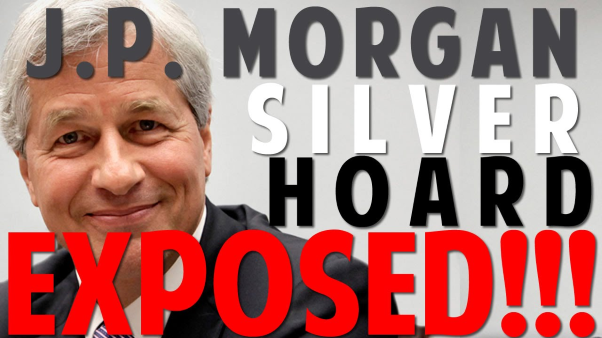 JPMorgan Chase, the largest U.S. bank, one the largest providers of financial services in the world and one of the most powerful banks in the world has accumulated one of the largest stockpiles of silver, the world has ever seen. "Some things never change - there will be another crisis, and its impact will be felt by the financial market”. Dimon warned that the trigger for the next crisis may not be the same trigger as the last one - but there will be another crisis. “Triggering events could be geopolitical (the 1973 Middle East crisis), a recession where the Fed rapidly increases interest rates (the 1980-1982 recession), a commodities price collapse (oil in the late 1980s), the commercial real estate crisis (in the early 1990s), the Asian crisis (in 1997),so-called "bubbles" (the 2000 Internet bubble and the 2008 mortgage/housing bubble), etc. While the past crises had different roots (you could spend a lot of time arguing the degree to which geopolitical, economic or purely financial factors caused each crisis), they generally had a strong effect across the financial markets." JP Morgan’s massive silver buying brings to mind the Hunt Brothers' attempt to corner the silver market in the late 1970s. The Texas oil-tycoons tried to corner the silver market by accumulating a massive silver futures position. What motivation could one of the key insiders on Wall Street have to accumulate such vast quantities of physical silver? It seems clear JP Morgan anticipates strong demand for physical silver in the not too distant future - either due to another crisis or purely due to the tiny size of the physical silver market and very favourable supply demand dynamics. 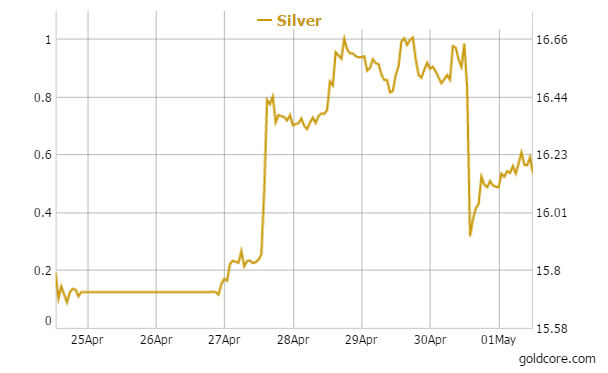 In the event of more market dislocations, demand for silver and gold will surge again. Heretofore - in similar circumstances - demand has been dampened by institutions dumping contracts for massive volumes of silver, paper or electronic silver, onto the futures markets. Precious metals look the most undervalued of all the asset classes - particularly silver. 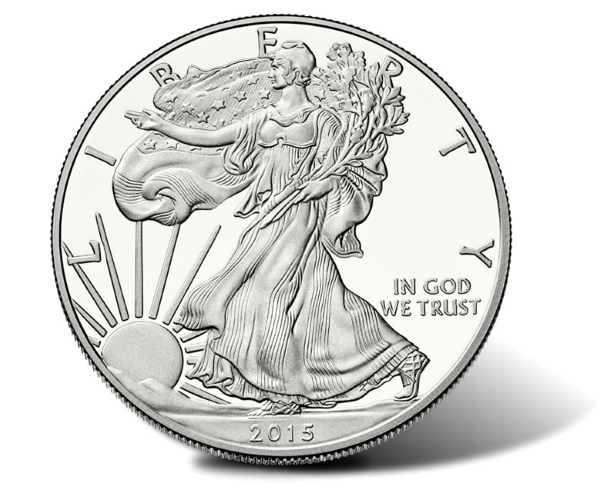 The fundamental reasons for our very bullish outlook on silver is due to continuing and increasing global macroeconomic, systemic, geopolitical and monetary risks; silver's historic role as money and a store of value; the declining and very small supply of silver; significant industrial demand and most importantly significant and increasing investment demand including from the largest bank in America. 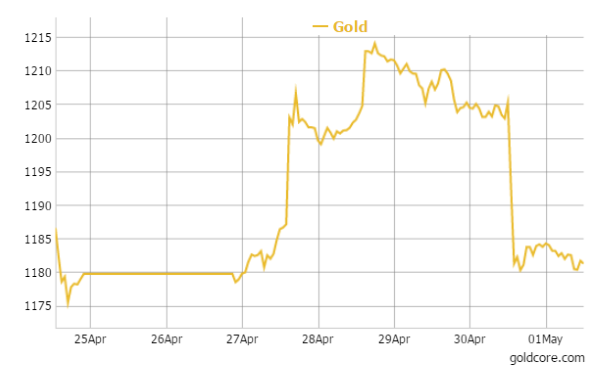 Gold recovered after an almost 2 percent drop yesterday when stop loss orders were triggered in a brutal sell. The sell off was blamed on the better than expected employment figures but the scale of the losses were more than would have been expected - especially given that the data has been very negative this week - especially the poor GDP number. Yesterday's U.S. jobless claims were at their lowest level in fifteen years at 262,000 below analysts consensus of 288,000. This surprise would suggest that the labour market is recovering which would be positive for the U.S. economy. However, the veracity of some of the jobs numbers remains in doubt with some analysts concerned that figures are being “hedonically adjusted” and manipulated.